Keith Code has been described by America's Rider magazine as "arguably the best known and most successful on-track motorcycle instructor in the world". Riders who have been trained either at his schools or by him personally have won upwards of 50 world and national racing championships, and include multiple world GP champion, Wayne Rainey. Keith got hooked on motorcycles when he was just twelve years old, after hearing a recording of the 1957 IOM TT Golden Jubilee races and at sixteen he started racing. During the 1970's Keith began what would become his life's work - understanding and teaching the art of riding motorcycles, making him the first person to develop and fully codify riding technology for motorcycles. His research continues to this day. 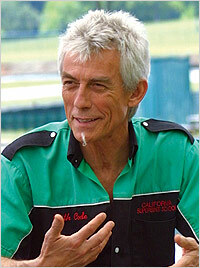 Keith founded the California Superbike School in 1980, the first rider training school to develop a step-by-step rider training curriculum. His teachings have spread all over the world with the California Superbike School operating at over 90 tracks in more than 15 countries and training over 150,000 riders. In 2006 Keith was tasked by the United States Marine Corps to design a rider training program that would be effective in reducing serious motorcycle accidents among USMC riders. The program called Advanced Motorcycle Operator School is now considered the "Gold Standard" of rider training by Marine safety personnel due to its graduates' extraordinary safety record over a four year periods. 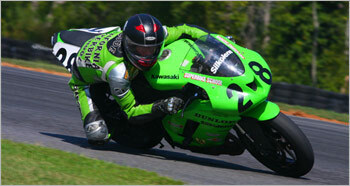 Keith has written three books about sportbike riding and racing techniques as well as a feature length movie covering his first book, "A Twist of the Wrist". His works have been translated into Russian, German, Estonian, Greek, Spanish, Japanese, Polish, French, Italian and Dutch. Today he writes a monthly column called Code Break for Motorcyclist Magazine who named him Motorcyclist of the Year for his contributions to training. Keith's research in the early ‘90s for "A Twist of The Wrist II" saw him once again return to the track as a racer. Where his earlier books create a broad sweeping understanding of riding techniques, Twist II, zeros in on specific scenarios in riding and illustrates the precise techniques needed for them. In 2007 Keith took his script for the book to a film production company to begin planning the long awaited film. Shot over several weeks in 2008 on location in California, utilizing visual effects and sophisticated film making techniques, the film brings all of the scenarios and techniques in the book vividly to life. Released in 2009, "Twist of the II" DVD gained instant popularity in the riding community; it has helped deepen the understanding of riders already familiar with Keith's work, and introduce a whole new world of certainty and control for riders just discovering Keith's training techniques. "Twist of the Wrist II" is the new must-have training tool for any rider headed to the road or to the racetrack. In 2009, BMW released the incredible new S1000RR, setting a new standard in sportbikes, and partnered with Keith Code and the California Superbike School for rider training. Using ultra-powerful 1000cc sportbikes for a riding school sounded crazy to some, but the amazing handling, light weight, reasonable seat height, and industry-changing electronics (including ABS and selectable traction-control profiles) have made the BMW a student favorite, and a very effective learning tool. In a September 2010 article in Sport Rider Magazine, Kent Kunitsugu remarked "Keith Code and his pioneering California Superbike School have continually evolved over 30 years to stay at the leading edge of riding schools." In 2010, the constant ongoing evaluation and improvement of coaching techniques, course control, curriculum, and equipment (including utilizing the unique safety features of the S1000rr), resulted in a 40% reduction in student crashes - a remarkable improvement for the school that was ALREADY running the best safety record in the industry. Far from resting on his laurels, Keith continues to study all aspects of riding, dividing his time between running the Superbike School, writing new material, researching and improving training techniques, and personally coaching successful professional racers.